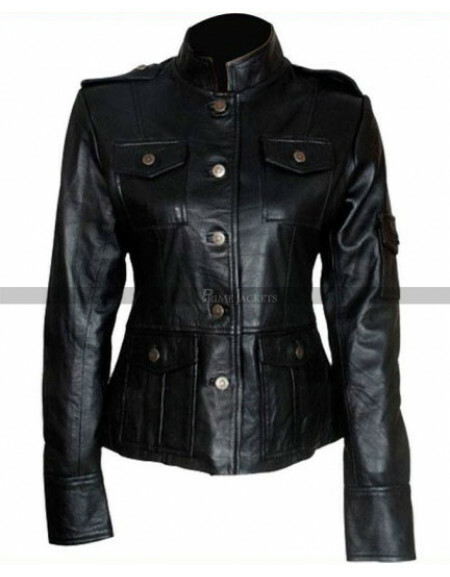 A sleek biker’s jacket is being presented here taking inspiration from the famous American drama series of 2010 Chase. 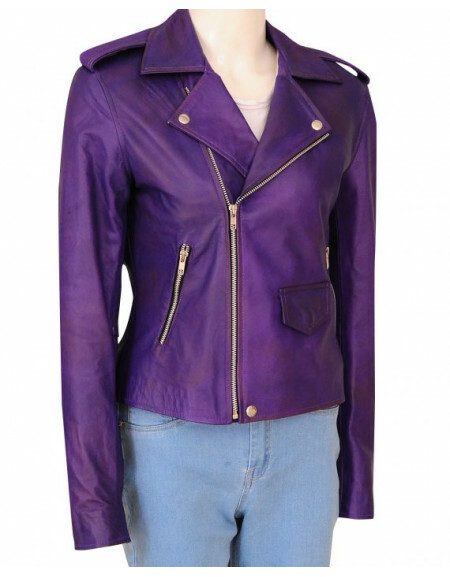 The gorgeous American actress Kelli Giddish managed to set an irresistible style statement with this classic moto inspired silhouette. 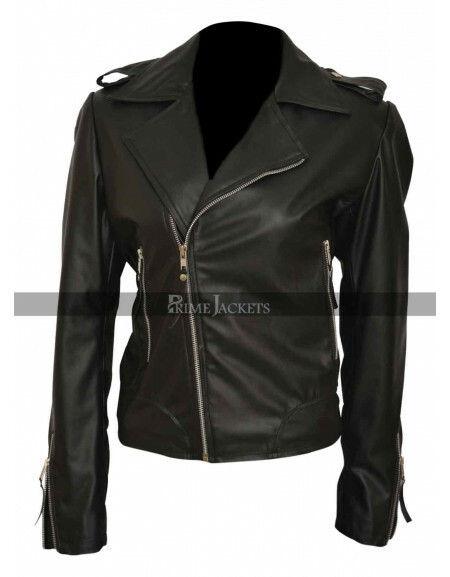 The Chase Annie Frost Jacket is made with the top notch leather quality in a dazzling brown shade. 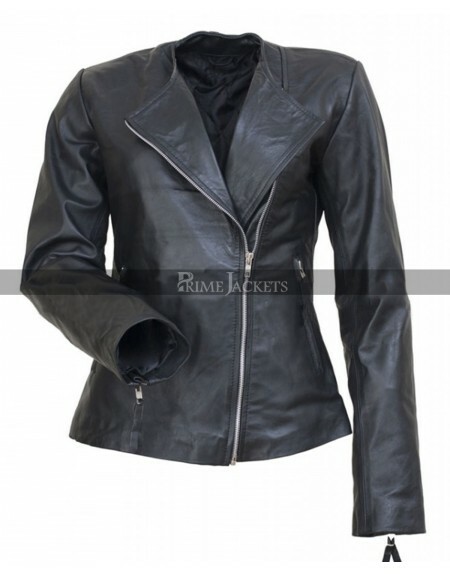 It features a standup collar with a following zippered closure at front that appears highly attractive and modish. 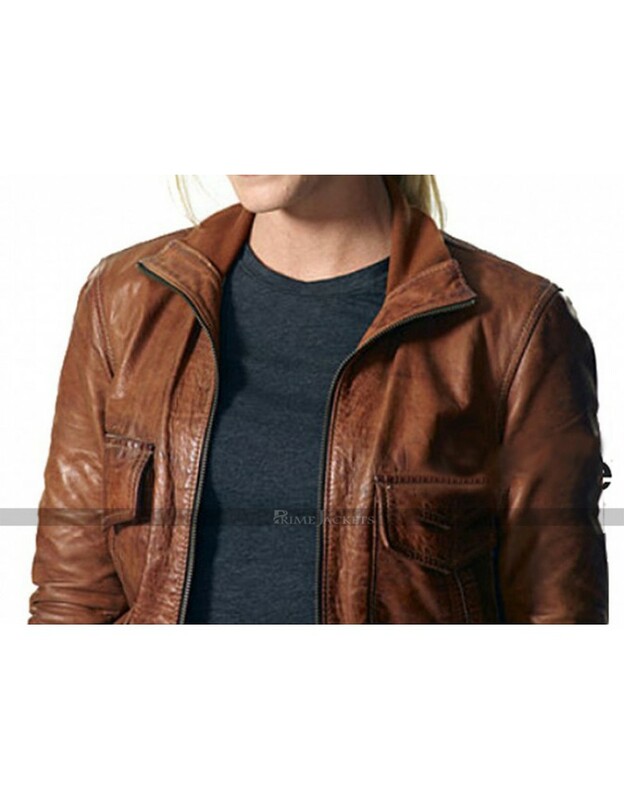 Pair the jacket with a crew neck black tee and slim fit jeans to look as stunning as the beautiful Kelli Giddish.